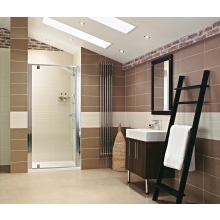 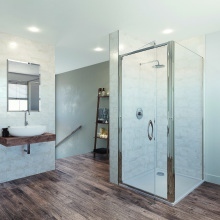 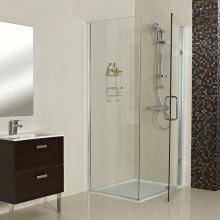 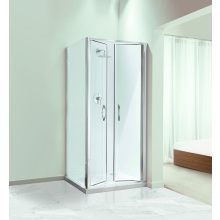 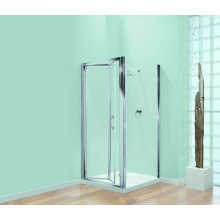 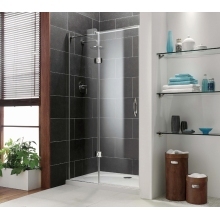 For larger bathrooms where the shower is positioned in an alcove, pivot doors provide an excellent option for a stylish and elegant shower door solution. 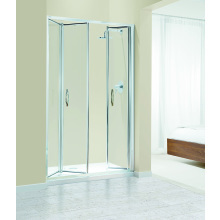 The door functions by pivoting on two pins that are positioned at the top and bottom of the frame which allows the door to be able to open and close. 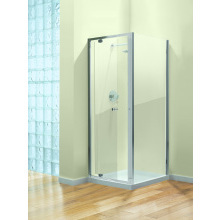 Due to the pins being located near the wall, it allows for a wide entrance size into the shower. 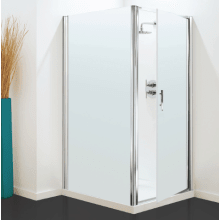 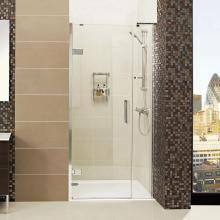 Our range of pivot shower doors come in an array of sizes (1000mm, 120mm, 760mm, 800mm and 900mm) from recognized brands such as Roman and Coram. 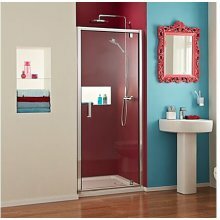 They also feature various glass treatments to allow for easier cleaning and the prevention of limescale build up (this is particularly beneficial in locations with hard water).